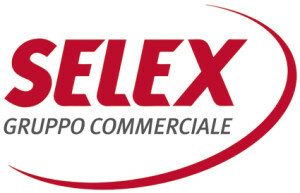 The Selex Commercial Group is the third largest distribution company in Italy, with a market share of 11.9% (Source: IRI, January 2018). A reality made up of 14 independent Italian companies in the retail and the wholesale modern, gathered in a National Central. Its network consists of 2,367 points of sale (hypermarkets to small supermarkets) distributed throughout the territory, with national chains such Famila, A&O and C+C, and many very strong brand in the region. Selex in 2017 recorded a turnover of 10,5 billion euro, an increase of 4.1% over the previous year. For the current year it is planned to open 69 new stores and modernization of existing units, investments totaled € 330 million and the hiring of hundreds of new employees.